Learn how to use the Tarot and Flower Essences to nurture yourself. 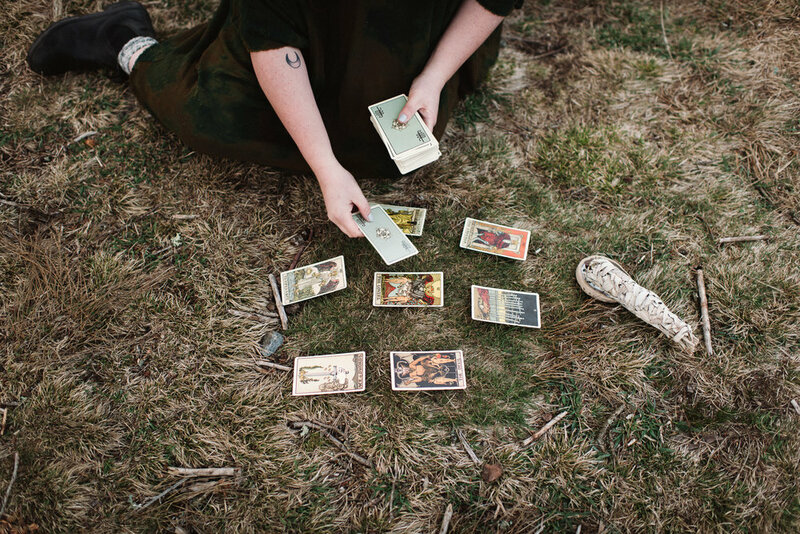 The Tarot is a powerful tool of reflection, and approaching the cards through a lens of self-care opens the door to an expanded personal practice of empowerment. Flower essences are the energetic imprint of flowers in water, and they work on the principle of vibrational resonance to bring parts of our emotional, spiritual, and wider selves back into balance. I will dive with you into a personalized tarot spread to uncover what shifts you are being invited to make, and use your cards to make a custom flower essence blend to take home and incorporate in your rituals and life. Enjoy all this woo while you'll sip on a boozy, herbaceous cocktail designed to suit your mood! I'm offering 25 minute sessions for $35 - which will include a mini-tarot reading, customized flower essence blend + an herbal cocktail. Email erin@eastforkpottery.com to reserve a session.